The history of Amritsar boasts of a perfect mix of Hindu and Sikh culture. Founded by Guru Ram Das in the year 1547, the city has been the home to various sages and saints. Although the history of Amritsar can be traced back to the Indus Valley Civilisation, it also has been referred in the various Puranas and the famous mythological epic Ramayana. According to the legend, this city was the site of the ashram of Rishi Balmiki as well as the birth place of Lord Ram’s son – Luv and Kush. The city boasts of Greek influence under Alexander during 326 BC. However, the Mauryas defeated the Greeks thus possessing the throne of Amritsar. The rulers of the Gupta Empire ruled here from the 4th to the 6th century followed by the rule of Shahi Dynasty and further under the kingship of Sultan Mahmood of Ghazani. Sikh came on the scene of Amritsar in the 16th century when Sikh Guru Ram Das and his successor Guru Arjan Dev established a temple around a small pool. It was during this time, that the city got its name Amritsar. The city is famous for the Jallianwala Bagh tragedy in which thousands of people were killed by the British. Amritsar is 280 miles from Delhi and only 16 miles from Wagha, an outpost of the Indo-Pakistan border. With a population of about 4,00,000 and a number of educational institutions, business enterprises, industrial concerns, banks, hotels, parks and restaurants, Amritsar still remains the largest and the most important city of Punjab. The Golden Temple Amritsar India (Sri Harmandir Sahib Amritsar) has a unique Sikh architecture. Built at a level lower than the surrounding land level, The Gurudwara teaches the lesson of egalitarianism and humility. The four entrances of this holy shrine from all four directions, signify that people belonging to every walk of life are equally welcome. The Jallianwala Bagh is located about a quarter of a mile from the Golden Temple. It is the Memorial which commemorates the sacrifices of hundreds of men, women and children who were victims of ruthless firing of the British forces. The incident took place on April 13, 1919, when thousands of people had gathered in Jallianwala Bagh to voice their feelings against the repressive policies of the British Government. General Dyer tried to silence the gathered crowd with volleys of bullets which, according to official estimates, took a toll of 397 lives and wounded another 1,200 persons. The Jallianwala Bagh massacre accentuated political awakening in India and brought Mahatma Gandhi to the forefront of Indian political life. The bullet marks can be seen to this day on the boundary walls of the garden. Jallianwala Bagh has been turned into a spacious and well-laid park where people from all parts of the country come to visit. The historic Rambagh Garden outside the City is a big attraction in the evenings when people throng its green parks to relax and breathe fresh air. This garden is laid out in the pattern of Shalimar Bagh at Lahore. Several clubs operate in the Garden which also houses the well-known summer Palace of Maharaja Ranjit Singh. A partial replica of the Golden Temple, the Durgiana temple is situated outside the Lohgarh Gate. It is dedicated to the Goddess Durga and is frequented by devout Hindus. The international borderline between India and Pakistan, Wagah is always been in the news headlines of both countries. Convoluted buildings, barriers and roads mark both sides of the border. The fencing between the borders is electrified with very high voltage. The Swarna Jayanthi gate, which is the entry gate of the outpost, commands the magnificent scenery of verdant landscapes. Situated in between Lahore and Amritsar, evenings in this army outpost is very charming and colourful with the "Beating the Retreat" ceremony. The pageantry and pomp, and the change of guard within a short expanse make an appealing spectacle, which grabs large gathering. The most important segment of the ceremonial parade is the bringing down of the respective flags of both countries. Tourists and the locals throng near the border to witness the ceremonial parade of the Soldiers of the two countries. When the sun sets in the horizon, the soldiers take their departure amidst the beatings of the drums and beguiles. The entire ceremony nearly takes thirty minutes. Raja Sansi International Airport in Amritsar provides regular service to major cities like Mumbai and Chennai. The travel from airport to the heart of the city, costs only about Rs 100 by taxi. Foreign cities can be connected through Mumbai and Chennai. Amritsar Railway Station is well linked to other rail heads in the state and also connected to most of the cities in India. It has a connecting railway line to Pakistan. The best season to visit Chandigarh is autumn, i.e., from mid-August to November, when the weather is pleasant, neither too hot, nor too cold, prevalent Winds from the South East in Summer and from the Northwest in Winter. Chandigarh's ambient air quality is better than that of most other cities in the world. In Chandigarh only non polluting and power driven industries are permitted. Rock garden has been established in the form of an open-air exhibition hall. The garden houses sculptures made by using a variety of different discarded waste materials like frames, mudguards, forks, handle bars, metal wires, play marbles, porcelain, auto parts, broken bangles etc. Rock garden in Chandigarh, India is a unique creation and connoisseurs come from different parts of the world to see this amazing garden. The largest rose garden in Asia, started in 1967, Zakir Rose Garden is spread across a vast area of 17 acres. It exhibits all types of rose plants numbering up to 1,600 plant varieties. It is not just roses that this garden houses, but it is also a hub of rare plant species, which has got enormous medicinal value. This well planned and neatly maintained garden is open to public from morning to evening. A perfect symphony of colours and the rich fragrance of the lovely flowers is eye catching spectacle which tempts the visitor to come back again and again. The therapeutic plants that can be marked here include bahera, bel, camphor, harar and yellow gulmohar. Rose garden serves as the venue for hosting the annual festival of gardens, a major cultural event of the city. Each year this garden hosts a rose festival with cultural festivities and contests, which turns to be a major crowd puller in the city. Open hand in Chandigarh, India is one of the most significant monuments of the city. The credit for laying down its plan goes to Le Corbusier. It is located in sector 1 in the Capitol Complex. Chandigarh open hand monument has been designed in the form of a giant hand made from metal sheets that rotates like a weathercock, indicating the direction of wind. This giant hand is 14 metres high and weighs around 50 tonnes. The significance of open hand is that it conveys the social message of peace and unity that is "open to give & open to receive." Open hand is the city's official emblem. Chandigarh capitol complex houses the seat of Government. Initially, it served as the seat only for the Govt of Punjab, but now it has the headquarters of both, the Govt of Punjab and Haryana. The credit for the awesome designing of the Capitol complex goes to Le Corbusier. Located in Sector 1, capitol complex in Chandigarh, India consists of three main edifices, namely, the Secretariat, the Legislative Assembly and the High Court. There was a plan to build a fourth building also, which is going to be the Raj Bhavan, as in the Governor's Palace or a Museum of Knowledge. However, till yet, it has not come into existence. The three buildings of the Capitol complex stand majestically representing themselves as the temples of democracy of free India. Spread over a vast extend of 10 acres, Terraced garden is located in Sector 33. Set up in the year 1979, this garden allures the visitors with its illuminated musical fountain. A myriad of flowering plants makes a colourful vista in the garden. The park is a frequented place of locals and the picnickers since the multi hued of flowering plants that covers the entire stretch of the garden presents a mesmerizing and imposing appeal. The serene and soothing environment of this Terraced garden offers a relaxing feeling, which tempt people to spend their evenings in this pleasant ambiance. This well planned orchard of blossoming plants houses the annual Chrysanthemums show, which is significant for the large-scale participation of the general public and the nature lovers. The show, which is organized in the month of December, carpets the city with multi coloured blooms of chrysanthemums. Diverse competitions are organised on the eve of the show in which scores of city gardeners actively take part. Established in the year 1976, Bougainvillea Garden has acquired a prime position in the tourism arena of Chandigarh within a short span of time. This exceptional garden is set in Sector-3, and exhibits more than fifty attractive varieties of bougainvillea plants. Bougainvillea Garden is comprised of a total area of 20 acres and the park houses bougainvilleas that is shaped in to different forms like an arch, pavilions, a cluster of bowers, and arcades. These thorny shrubs are just right for bonsai type planting. The annual Bougainvillea festival conducted in the park is very popular and it attracts large number of people. Apart from these paper beauties, the park also holds fitness tracks, which provides a good walk and morning exercise field amidst a colourful brigade. A must visit spectacle in Chandigarh is the Pinjore Garden, which covers a large area of 100 acres of land. This vast expansion of land houses an array of attractions to the visitors. Also called as Yadavindra Gardens, it is located in the suburbs of the city. It has got a great mythological value also. Mythology says that the Pandavas had come here during their period of exile. A popular picnic spot, this garden offers a delightful time with its mini zoo, Japanese garden, nursery and a number of gorgeous lawns. Pinjore Gardens appears more imposing during night times when colorful lights and fountains got illuminated. Another impressive feature of this lovely location is its descending terraces that provide a miraculous effect. During the months of April to June the garden would be clothed in a festive mood since it is the time of the Baisakhi Festival and the annual mango festival. Celebrated with much gaiety, these festivals became remarkable owing to the large-scale participation of people. Latest varieties of Mangoes are being displayed here in the festival by the Agricultural Universities. These celebrations grabs more and more crowds to the garden year after year. Nearest airport is 11 km from downtown. Taxis are available for Airport transfer. Chandigarh Railway Station is 8 Kms from the city centre in Sector 17. The twice daily Shatabdi, Jan Shatabdi and Himalayan Queen connects New Delhi and Chandigarh. The National Highways No. 21 (Ambala-Kinnaur) and 22 (Chandigarh-Leh) are the chief road arteries linking Chandigarh with the rest of the country. Located in the outer slopes of hill Dhauladhar range is another important hill resort in the district Chamba . A number of picturesque walks run through the oak, pine and deodar forests around the town and offer excellent views of the Chenab, the Ravi and the Beas valleys. It is thicky wooded with stately pines and oaks and has lovely picnic spot all around. Dalhousie is the gateway to Chamba. Originally conceived as a sanitorium by its founder Lord Dalhousie, it is today one of the most quiet hill stations. Extending over an area of 13 sq. km., Dalhousie comprises five distinct hills, Balun, Kathlog, Petreyn, Tehra and Bakrota with heights ranging between 1,525 and 2,378 metres. It is known for its Church buildings and other landmarks erected by the British. The town has old Churches like St. John's Church ( made in 1903 A.D. ), and St. Patrick's Church (1909 AD). After Independence Dalhousie was forgotten for some time. But gradually it picked up reminder and became quite a spot for people looking for a green and peaceful getaway in these high mountains. Dalhousie belonged to the erstwhile state of Chamba, but did not have a position of great importance by itself. It shot into fame only in the modern times when the British set their eyes upon it. It all happened this way. In 1853 the tired and overworked Lord James Ramsay, the Marquess of Dalhousie, was looking for some days of idleness when he came upon this beautiful unexplored spot on ridge overlooking the plains. He immediately bought the land from the Raja of Chamba. And with careful attention, Dalhousie began to be prepared for the British who were ever ready to flee to the cool hills in summer. Lord Dalhousie was one of the most divisive governor-generals of the country. He dreamt of a westernized and united India under British rule, and so he methodically set out to ‘rationalize the map of India’ by take control of previously independent states. One of the prize nap in Dalhousie’s cap was the wresting of Punjab from its Sikh rulers in 1548. His policy of expansion, however, did not go down well and was partly responsible for the Uprising of 1857. But the guy did some very good deeds at the end of the day: he built the railway and postal systems in India. By 1867 Dalhousie reached the level of a ‘sanatorium-town’. The high point in its career came in the 1920s and 30s, when more and more British officers and their families started pouring in. However, Dalhousie never really became a glamour-spot like Shimla where all the who’s who of the British government spent their summers, nonetheless the privileged from the Punjab capital of Lahore assembled here to their neat bungalows and well-laid out gardens. ( 2,085 metres ) 4.8 km ) The fascinating and bewitching Bakrota Hills offer to the tourists the brisk walk round the hills besides a grand view of snow-clad peaks. It is one of the finest and soul refreshing places in Dalhousie. The matchless beauty of Bakrote Hills haunt you in a different way and leaves you speechless. Thick 'Deodar' forests seem like a beautiful green carpet covering the surrounding hills. Soul refreshing pure mountain air refreshes you at every turn and you just begin to mix your inner heart with the beauty of nature. Dalhousie experiences heavy snowfall during winter and then majestic Bakrota Hills start the white magic of snow and enjoy. St. Andrew's Church commonly known as the Church of Scotland was built in the year 1903 at Baloon by Protestant Christians. The Church is approximately one and half kms. from Dalhousie's bus stand. The Church building is in good condition, recently a brick boundary wall has been erected around it to save the building from mischief mongers. This Church is situated in Baloon, Dalhousie Cantt., on Military Hospital road approximately 2 kms. from main bus stand. St. Patrick's Church is the largest church in Dalhousie having a seating capacity of 300 persons in its main hall. The Church was built in the year 1909 and the dressed-stone building is still in good condition. This Church was built exclusively from contribution made by officers and ranks of the British Army. At present the Church is managed and maintained by the Catholic Diocese of Jalandhar. This Catholic Church is a very prominent monument on the Subhash Chowk. This Church was built in the year 1894 from the contributions made by Army and Civil Officers and Civilians. This Church is managed and maintained by the Cathoilic Diocese of Jalandhar. St. Francis' Church on Prtrain hill is believed to have been built on the lines of a certain church in England. Beautiful glass work and intricate stone work can be seen in the Church. Service is conducted every Sunday. This Church stands on the Gandhi Chowk approximately 2 kms. from the main bus stand of Dalhousie. This Church was the first to be built after the town of Dalhousie was founded. The church building stands in a good condition but its surroundings demand much better care. Service is conducted on every Sunday. ( 2,085 metres ) 4.8 km ) The fascinating and bewitching Bakrota Hills offer to the tourists the brisk walk round the hills besides a grand view of snow-clad peaks. ( 2,745 metres ) 10 km. ) This is a towering and beautiful peak which offers panoramic views, specially on a clear day, of the three main rivers - Beas, Ravi and Chenab. ( 2,440 metres ) 8.5 km. ) 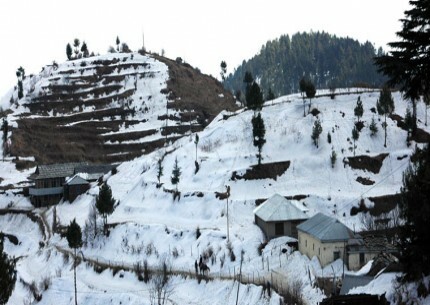 The spot commands a beautiful and grand panoramic view of the surrounding landscape and eye travels wide over hill and dale, field and forest, smooth and ruggedness, till in the direction of Jammu and Kashmir, it meets a horizon of snow peaks. ( 2000 metres ) 27 km. ) 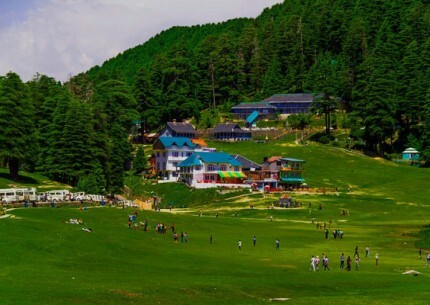 Referred as the Mini Switzerland of India, Khajjiar is one of the best Saucers shaped grazing lands lined with Tall Deodar Trees and a Lake in the middle, there is a 500 year old Wooden Nag Temple near to the Lake. A little out of Dalhousie is a beautiful, charming retreat that makes an ideal day excursion or even an overnight visit. Sardar Ajit Singh, a great freedom fighter, breathed his last on the day India gained independence, 15th August, 1947. His 'Samadhi' is located at Dalhousie's Panjphulla, a picturesque spot with a natural tank and water flowing under small bridges from which the place takes its name. Sardar Ajit Singh was the uncle of martyr Bhagat Singh. At Panjphulla, there is a 'Samarak' in the memory of Sardar Ajit Singh. On the way to Panchpula is Satdhara springs gurgling with refreshing water, believed to contain some medicinal properties. Panchpula stream is the main source of water supply to Dalhousie and Bahloon. The stream springs from the north side of DayanKund and runs down a picturesque ravine to the waterworks of Panchpula. ( 1.6 km. ) A lovely spot for picnic, commanding a good view of snow covered hills. This has been named after the indomitable man of Indian politics, before the independence days, Shri Subhash Chandra Bose. It is said that he used to drink water from this place during his stay in Dalhousie. ( 2 km. ) place of the rulers of erstwhile Chamba State, is located and surrounded by tall pine trees, is a place worth visiting. ( 4.8 km. ) the Bakrota Hills offer a brisk walk on 'The Round' besides a grand view of the surrounding countryside. The nearest broad gauge railway station is at Pathankot 120 km. Almost each and every part of the state is linked by roads. The Himachal Road Transport Corporation is running its buses covering the whole state. There is huge network of HRTC to cater the needs of the people. Amritsar 191 km., Chamba 56 km., Chandigarh 300 km., Delhi 563 km., Jammu 188 km., Jalandhar 192 km., Manali 360 km. and Pathankot 80 km. The main monument, depicting ancient Indian "vastu shastra" and architecture, is a marvel in pink sandstone and white marble that is 141 feet high, 316 feet wide and 370 feet long with 234 ornate pillars, over 20,000 sculptures and statues of deities, eleven 72-foot-high huge domes (mandapams) and decorative arches. And like a necklace, a double-storied parikrama of red sandstone encircles the monuments with over 155 small domes and 1,160 pillars. The whole monument rises on the shoulders of 148 huge elephants with 11-feet tall panchdhatu statue of Swaminarayan presiding over the structure. The other attractions of the complex are three exhibition halls spaced around two huge ponds, where one is a venue for light-and-sound show. The three halls are "Sahajanand Darshan", "Neelkanth Darsdhan" and "Sanskruti Vihar". "Sahajanand Darshan" is where life of Swaminarayan is displayed through robotic shows, while "Neelkanth Darsdhan" has a huge I-Max theatre screening movie based on the life of the Lord. Another amazing presentation is "Sanskruti Vihar" with 12-minute boat ride experience of India's glorious heritage. For visitors, entry to the complex is free. However, those who want to visit exhibition halls and theatres, Rs.125 is to be paid and for children and senior citizens the charges are Rs.75. "Over 6,000 visitors could easily witness the shows and enjoy boat-rides everyday, while over 25,000 people can visit the temple. We have deployed almost 140 guides who will facilitate visitors during their visit. It requires at least four hours to visit the entire complex thoroughly and see all the shows," said a temple management committee member, adding that the opening ceremony would be telecast live on Aastha channel. Elaborate security arrangements have also been made for the entire complex. Besides installing close circuit television cameras it has also deployed hundreds of its own security personnel. The Rs.400-crore cultural complex, inspired by Pramukh Swami Maharaj of the Bochasanwasi Shri Akshar Purushottam Swaminarayan Sanstha (BAPS), will be popularised by its builders as "a place for cultural education and entertainment". The temple complex has drawn inspiration for its architecture from the historic temples of Badrinath (Uttaranchal), Somnath (Gujarat) and Konark (Orissa). It is the second Akshardham complex in the country after the one at Gandhinagar in Gujarat. The DILLI HAAT provides the ambience of a traditional Rural Haat or village market, but one suited for more contemporary needs. Here one sees a synthesis of crafts, food and cultural activity. This Food and Craft Bazar is a treasure house of Indian culture, handicrafts and ethnic cuisine, A unique bazaar, in the heart of the city, it displays the richness of Indian culture on a permanent basis. One does not have to go far to see the old fort or Purana Quila standing stoically amidst wild greenery.Built on the site of the most ancient of the numerous cities of Delhi, Indraprastha, Purana Quila is roughly rectangular in shape having a circuit of nearly two kilometers. The thick ramparts crowned by merlons have three gateways provided with bastions on either side. It was surrounded by a wide moat, connected to river Yamuna, which used to flow on the east of the fort. The northern gate way, called the Talaqui darwaza or the forbidden gateway, combines the typically Islamic pointed arch with Hindu Chhatris and brackets; whereas the southern gateway called the Humayun Darwaza also had a similar plan. No one can, however, dispute that the tower is not only one of the finest monuments in India, but also in the world. Qutab-ud-din Aibak, the first Muslim ruler of Delhi, commenced the construction of the Qutab Minar in 1200 AD, but could only finish the basement. His successor, Iltutmush, added three more storeys, and in 1368,Firoz Shah Tughlak constructed the fifth and the last storey. The main gate, Lahore Gate, is one of the emotional and symbolic focal points of the modern Indian nation and attracts a major crowd on eachIndependence Day. The vaulted arcade of Chatta Chowk, a bazaar selling tourist trinkets, leads into the huge fort compound. Inside is a veritable treasure trove of buildings, including the Drum House, the Hall of Public Audiences, thewhite marble Hall of Private Audiences, the Pearl Mosque, Royal Baths and Palace of Color. Nearest airport is Indira Gandhi International Airport, which is 12 km far from certral city of Delhi. Nearest railway head is Delhi Cantt. Though Delhi has five railway stations, the New Delhi Station and the Old Delhi station are the major ones. Some major trains like the Mumbai-Rajdhani-Nizamuddin operates from Nizamuddin railway station which is in south Delhi. Delhi is well connected with bus services of Delhi Transport Corporation (DTC) and state roadways of the neighbouring states like Haryana and Uttar Pradesh to all important cities and destinations in North India. In 1905, tragedy struck Dharamshala when an earthquake levelled it completely. After its reconstruction, Dharamshala flourished as a quiet health resort. It is divided into two distinct parts. Lower Dharamshala has civil offices and business establishments with courts. Kotwali bazar and Upper Dharamshala comprise of places with names which bear witness to its history like McLeod Ganj and Forsythe Ganj. Since 1960, when it became a temporary headquarter of His Holiness The Dalai Lama, Dharamshala has risen to international fame as "The Little Lhasa in India". Mcleodganj is 9 km from Dharamshala. In and around Dharamshala, one can visit the Kangra Art museum at Kotwali bazar, War memorial, Kunal Pathri temple and tea gardens on way to Kunal Pathri. There is also a beautiful Cricket stadium in the city facing mighty Dhauladhar. Kareri Lake is a shallow fresh water lake around 9 km from Dharamsala. 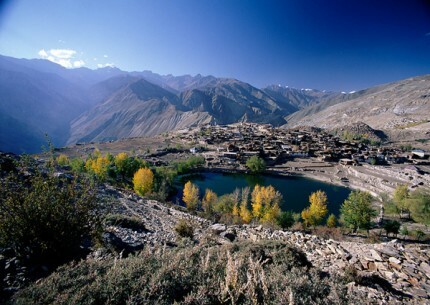 Located on a very high altitude, the lake is fed by the snow melting from the Dhauladhar mountains. Due to the fresh shallow water, the bed of the lake is easily visible. This lake also serves as excellent trekking spot in the Dhauladhar region. The lake is 3 km from Ghera, which is the nearest road head and tourists need to hike from here in order to reach the lake. Alternatively, tourists can also take 13 km long trek from Kareri to reach the lake. Triund, the name of a crest in the Dhauladhar ranges in The Himalayas, is a very famous tourist attraction, which is 9 km trek from Mcleodganj. This place gives a breathtaking view of the Moon peak-Indera Pass. Ideal for camping, its unpolluted air and the unspoiled environment make the place an eco-friendly tourist spot. 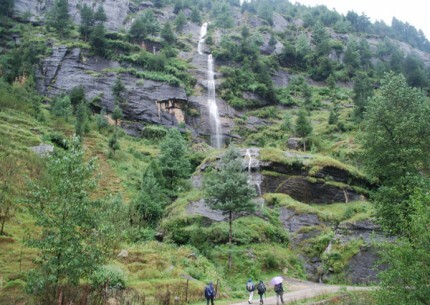 Also popular as trekking spot, the place offers the greenery forests and undulated hilly areas in the Himalayan Ranges. A trek to Triund will take around 4 hours from Mcleodganj and the best time to trek is April - June & September - November. Situated around 8 km from Paragpur village, the Kaleshwar Mahadev Temple is a popular temple in the Kangra district. An ancient structure, dedicated to lord Shiva, the temple is extremely popular for its lingam which is place much below the ground level. Also known as Maha Rudra of Mata Chintapurni, the walls of the temples are adorned with beautiful sculptures and is covered with ancient tombs. Bhagsu Falls is a small yet beautiful waterfall located 2km away from Mcleodganj. Around 0.5 km from the waterfall stands the Bhagsunath temple and the waterfall is revered by devotees who throng the temple. The falls is easily reachable by taxis or autos, besides trekking or walking is another good experience to enjoy the serene surroundings. It will take around 6 to 8 hours to explore the region. During monsoons, the place is subject to heavy rains and snow is winter. It is a good idea to avoid visiting during mid-winter. During monsoons, this waterfall turns into a 30 ft cascade besides a mountain that looks like an art piece made out of slate. This occurrence is due to the rich deposits of slate in the surroundings. Tourists can enjoy swimming but the water is cold. Located just 20 km from Dharamsala and 3 km from Kangra, the Kangra Fort is a magnanimous structure built by the royal family of Kangra. The fort finds a mention in the war records of Alexander, around 4th century B.C. It is one of the largest and oldest forts in India. The fort has been a witness to many plunges and confiscations by the foreign rulers like Muhammad of Ghaznavi, Muhammad Bin Tughlak and was finally taken over by Mughal emperor Jehangir, who garrisoned it with his troops. The main attraction inside the fort view of gushing streams of Banganga and Manjhi rivers from the Fort. The fort is also known as Nagarkot and tourists need to climb through seven gates to reach the three temples located inside. Namgyal Monastery in Dharamsala is a sacred building enclosing the residence of Dalai Lama, the spiritual leader of Tibetan Government in exile. The complex is constructed in a location near Mcleod Ganj and is overlooked by the mountain ranges of Dhauladhar. Lush pine forests offer the natural beauty and the atmosphere offers a perfect tranquility in the location. The monastery is located inside the Tsuglagkhang Complex, which also encloses a Tibetan museum, a cafeteria, a book shop and library, prayer wheels and Buddhist shrines, apart from the royal but simple residence of the Tibetan spiritual leader. Visitors are allowed to move anywhere in the complex without any obstacles and difficulties. One can reach the monastery by taxi. Being a private monastery of the Dalai Lama, no visitor is allowed to enter the temple premises except Dalai Lama and his students. However, tourists can visit the Naam Art Gallery, which opens from 10 am to 7 pm but remains closed on Mondays. Situated towards the southern end of the town is the holy abode of the Tibetan leader, Dalai Lama, the Tsuglagkhang Complex. 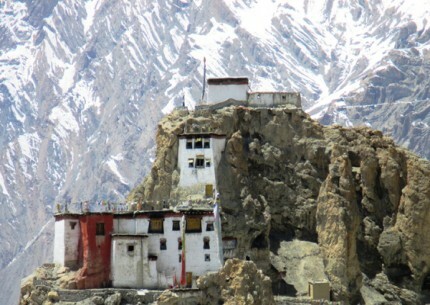 Namgyal Monastery is a part of this sanctum and thousands of pilgrims’ travel here seeking the blessings of the leader. Reachable by taxi, all the parts of the monastery except the monk’s residences are open for public visit. The famous Namgyal Monastery is a part of this complex. Besides meeting the Dalai Lama (which is not an easy thing to do) tourists can enjoy viewing the paintings that depict the sculptural stories and various Tibetan leaders. There are various stupas, temples, monastery for the tourists to explore. Also there are bookshops, café and a museum that too serve the tourists. Situated close to the bus stand, Kangra Art Museum is a unique museum displaying the artifacts of Tibetan and Buddhist cultures. This is a treasure of Kangra valley’s cultural past, crafts, arts and other ancient artifacts. Some of the displayed items in the museum are dating back to 5th century. Tourists can easily reach by bus or taxi and it will take 30 mins to one hour to see the museum. While visiting the museum, never miss to explore the Kotwali bazaar. Trekking in Kangra valley is an amazing experience for those who spend the time with nature’s praise worthy gifts of landscapes, springs, mountain ranges and lush green environments. There are many trekking trails in Kangra that are very challenging for the novices and interesting for the experienced trekkers. Treks commence usually from Kangra Valley and go to mountain peaks and rock-cut temples. There are treks from Kangra to the adjoining Chamba Valley. Laka Pass trek, also known as Inderhara trek, and the Minkiani Pass trek are very popular among the tourists. These treks commence from Dharamshala or McLeodganj. Five important trekking routes in Kangra valley are Dharamshala-Laka Pass, McLeodganj-Minikiani Pass-Chamba, Dharamshala-Talang Pass, Baijnath-Parai Jot and Bhim Gasutri Pass. Hindi, Punjabi, English and Pahari are understood and spoken by the people engaged in tourism trade. Kotwali Bazar, a general shopping area, and McLeod Ganj for Tibetan handicraftsArea: 5739 sq. km. Max. 38 C in June; Min. 0 C in Jan.
Varies between 290 cm to 380 cm second highest rainfall in the country. January to June; September to December. July-August is rainy season. The nearest airport at Gaggal is 14 km away after which it is accessible by road. Pathankot is the nearest broad gauge railway terminal to Dharamshala. From Pathankot there is a narrow gauge railway line up to Kangra (94 km) and from here Dharamshala is 17 km by road. Direct and regular bus service from Delhi (520 km), Chandigarh (250 km), Jammu (210 km), Shimla (238 km), Chamba (185 km) and Manali (240 km). Popularly known as the Devbhumi – "Land of the Gods", Himachal Pradesh is a beautiful hill state in India, nestles in north-west region of westernHimalayas. The state is landlocked with the Tibetan plateau to the east, Jammu and Kashmir to the north, and the Punjab to the west. However, the state stands apart from its neighbours in terms of its sheer topographic diversity and breathtaking pristine natural beauty. From vast tracts of high-altitude Trans-Himalayan desert to dense green deodar forests, from apple orchards to cultivated terraces, from snow capped high Himalayan mountain ranges to snow fed lakes and gushing rivers. The airport is at Jubbarhatti, 23 km from Shimlacity and is connected to Delhi. Taxi/cabs are available. Shimla is connected by a broadgauge line up to Kalka (90 km). The journey between Kalka and Shimla takes about six hours and is one of the finest ways of enjoying the landscape. The quaint rail car, which runs on this stretch, takes about five hours. A luxury coach that accommodates six persons has recentely been introduced and can be attached to any train of your choice. The Shivalik Express is a deluxe train on this route. Delhi (380 km), Chandigarh (120 km) and Kalka (90 km) from Shimla. Shimla is connected by road to all major cities in north India. Taxi cabs for Shimla are available at Delhi, Chandigarh, Ambala and Kalka. Several state-run transport corporations including the Himachal Tourism Development Corporations ply Volvo ac and deluxe buses from Delhi and Chandigarh.Buses can also be chartered. Khajjiar is a town located in the Indian state of Himachal Pradesh. The town is known for its many meadows and ethereal beauty and is a very popular tourist destination and hotspot, as it is nestled amidst green surroundings. It is located at an altitude of around 6400 feet above sea level. This picturesque town is also often labelled as the ‘Switzerland of India’. The town of Khajjiar has a rich heritage, and many kingdoms have influenced its culture through the years, including the Mughal and Rajput kingdoms. While in Khajjiar, you can visit the huge golf course that is located in the town, and take a walk through the green meadows. This golf course is a nine-hole golf course, and golf enthusiasts can catch a game in the course. You can also visit the Khajjiar Lake during your trip to the region. The lake and its surrounding forests have a magical look and feel, and the Khajjiar Lake is a very famous tourist hotspot in the region. You can also visit the famous Khajjinag temple that is located near the lake, which is a very important destination among pilgrims. There are also options for horse riding in the town of Khajjiar, and you can take a ride through the Khajjiar ground for nominal charges. Going from Dalhausie to Khajjiar is a soothing experience as you drive through the beautiful Bakrota Hills. As you keep on going, after some time, you enter the 'Kalatop Khajjiar Sanctuary' and you also see the beautiful 'Lakkad Mandi'. The whole journey is enjoyable because the road leads you through the magnificent 'Deodar' forests. You can easily notice the deep quietness in the environment which adds to the beautiful experience of the entire journey to Khajjiar. As you keep on moving, you approach the point from where you can have the bird's eye view of the 'Khajjiar ground and the lake in the middle. Honestly, it seems like a dream from far. So you should stop at this point and have a view of this wonderful creation of the mother nature. After that you move towards the Khajjiar Lake and the ground. No wilderness in Himachal is so easily accessible and beautiful. It is the magical paradise which quickly makes you realise that there is no place like this in the whole world. The magnificent of majestic 'deodar' is at its best here. Khajjiar lake is associated with a legend, it is associated with Khajjinag, the deity that is enshrined in the temple here. On a clear day, you can see the Mountain Kailash from Khajjiar ground. You can also enjoy the horse riding here. Some local people are engaged in this business and you can ride the whole Khajjiar ground (from outside) for a nominal charge. The riding is very enjoyable, also the horses are well trained and do not scare you away. On the left side is the photograph of one of the rest houses in Khajjiar. This one is special because the tree near the rest house is of a very different kind. It is called the "Panch Pandav" (Five Pandavs). Though the main root is the same but the base of the tree is divided into five parts, which make it one of the kind. It is also one of the main attractions when you begin to explore the Khajjiar ground on your feet. Near this rest house is the way leading to a small village and Khajjiar School. There are many rest houses situated just outside the Khajjiar ground and some of them were built during the British era. Look at the image on the right side - a very old rest house, the construction of the rest house is very interesting. Local people tell some interesting stories about the rest house ( something supernatural ). However it looks very beautiful in the farmost corner of the Khajjiar ground. Besides the view of the Lake in the middle of the ground, there is a lot more to explore. Outside the Khajjiar ground is thick deodar forest and amidst the forest, there are various small villages i.e. khajjiar village, rota village, ladi village etc. (mainly situated near the slopes) Villages are situated far from each other, but not too far from Khajjiar ground. There are many apple orchards in Khajjiar area. Look at the photograph on the right side - This is a small village named ladi and you can see many apple trees in the image and when the season comes, they are full of apples. On the right side is the photograph of Khajjiar village. The location of the village is striking. You can have the breathtaking view of the hills from here. No doubt, the whole Khajjiar area is a magical paradise. Nearest airport is Gaggal ( Kangra ) 134 km. via 'Siunta' and Amritsar 213 km. The nearest broad gauge railway station is at Pathankot 142 km. Just 40 kms away from Kullu to the north, Manali is situated near the end of the valley on the National Highway leading to Leh. The landscape here is breath taking. One sees well-defined snow capped peaks, the Beas river with its clear water meanders through the town. On the other side are deodar and pine trees, tiny fields and fruit orchards. It is an excellent place for a holiday, a favorite resort for trekkers to Lahaul, Spiti, Bara Bhangal (Kangra),and Zanskar ranges. From temples to antiquity, to picturesque sight-seeing spots and adventure activities, Manali is a popular resort for all seasons and for all travellers. The annual State level Winter Carnival was celebrated from 23rd to 27th January, 2011. 06 Kms. from Manali located on the left bank on Beas on the road to Naggar. The place is famous for very old temples of Lord Shiva and Sandhya Gayatri in Shikhara style, these are worth a visit. 04 kms. 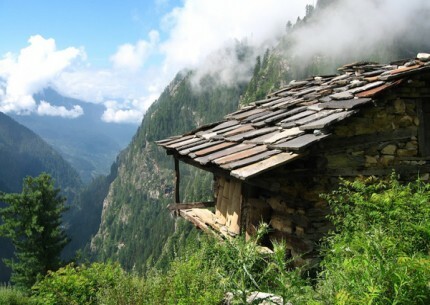 from Manali towards Naggar, the cave is situated near Prini village 1km. above the road where Arjun had meditated. This is good 1/2 a day excursion with charming view of the brilliant mountains. Rohtang Pass (3979 m) is 51kms. from Manali on highway to Keylong/Leh. It offers a panorama and spectacular mountain view. The pass is open from June to October each year although trekkers can cross it earlier. It is a gateway to Lahaul Spiti, Pangi and Leh valley just as Zojila pass is a gatway to Ladakh. There are a beautiful sight of glaciers, peaks and Chandra river flows down in the Lahaul valley. Slightly to the left are the twin peaks of the Geypan. During summer(mid June to October) regular buses ply between Manali-Keylong/Darcha, Udaipur, Spiti and Leh. Rohtang Pass is best visitable between May/June to October/November. 05 Kms. on National Highway to Leh,a natural spring of cold clear water named after Pt. Jwahar Lal Nehru, who used to drink water from this spring during his stay in Manali. This spring is believed to originate from the Bhrigu lake situated high-up in the mountains. Located 3 km on the left bank of river Beas towards Kullu, Atal Bihari Vajpayee Institute of Mountaineering and Allied Sports Manali, organises basic & advance training courses, in trekking, mountaineering, skiing and water sports. Skiing and trekking equipments can be hired from here by booking in advance. Tourists can visit an interesting showroom here. 02 Kms. from the town, club house has indoor games facilities which has been located on the left bank of Manalsu Nallah. There are some picnic spots near it. 03 kms. from the main bazar in old Manali lies the temple of MANU RISHI. It is believed that this is the only temple of Manu in India, who was the creator of human race on the earth. Manali has many attractions but the chief centre of interest, historically and archeologically, is undoubtedly the DHOONGRI TEMPLE dedicated to goddess Hidimba, the Bhim of Mahabharat fame. It has four-tiered Pagoda shaped roof and the doorway is carved with legendary figures and symbols. This temple located amidst wooden forest of deodar is about 2.5 kms. from the tourist office. It is a pleasant experience to stroll in the temple complex which was built in 1533 A.D. A large festival is held here in May. 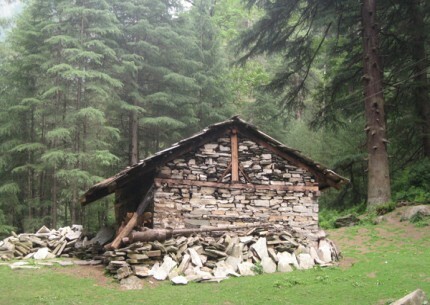 This sanctuary starts about 2 km from Manali town. ItLeopard forms the catchment of Manalsu khad. A bridle path from Manali log huts/ Dhungri temple passes through dense Deodar, Kail, Horse chestnut, Walnut and Maple forests. Night stay in tents at Lambadug or Gallant thatch is an unforgettable experience. Alpine lush green pastures and glaciers beyond Galant thatch are a romantic attraction for the enthusiastic but enduring visitors. One may see Musk deer, Monal and Brown bear digging or ploughing the land and also pug marks with scent of Leopard or Snow leopard. Those who venture up to snows can see herds of Ibex in the glacier zone in summers. Manikaran (1700 m), 45kms. from Kulu and just 3kms. from Kasol, is famous for its hot springs. Thousands of people take a holy dip in hot waters here. The water is so hot that dal, rice & vegetables etc. can be cooked in it. It is also a well known pilgrimage place for both Hindus & Sikhs. Ramchandra and Shivaji temples besides a Gurudwara are there. According to an old legend, Manikaran is connected with Lord Shiva and his divine consort, Parvati, who lost her ear rings here, which gave birth to hot waters on the bank of Parvati river. Hearing this religious myth from the priests will be more rewarding and interesting. Ample accomodation in the temples and Gurudwara, is available for night stay besides private hotels & guest houses. Nearest convenient rail head are at Chandigarh and Pathankot. Manali can be reached from road from these stations. Manali is well connected by road with Delhi, Ambala, Chandigarh, Dehradun, Haridwar, Shimla, Dharamsala and Chamba/Dalhousie. Regular buses ply between these stations. It is connected with Leh during July to October. In 1864 the Viceroy, John Lawrence anointed Shimla – then spelt Simla, as the summer capital of British India. With Lawrence came the Viceroy Council, the Imperial Secretariat, representatives of the Indian princes and foreign envoys. As the town grew to become the workshop of the Empire, an awed visitor observed, every pigeonhole cradled an embryo of a war or death. Despite the fact that up to the time of Indian independence in 1947, Shimla officially remained only the summer capital, yet the Government spent more time in these hills than at the actual capital Calcutta and later New Delhi. As the bearer of the Viceregal sceptre this tiny pocket became the cynosure of British Empire. Imperial grandeur, and all the panoply and trappings of power came along for the ride. And there was a popular local saying that went, "You cannot sleep the nights in Simla for the sound of grinding axes”. A social whirl of parties, gymkhanas, balls, fancy fairs and affaires du Coeur ensured that a heady mixture of scandal and intrigue constantly wafted through the town. Quite inevitably the freedom movement had a close connection with Shimla. Ornithologist and former Civil Servant, Allan Octavian Hume created the Indian National Congress which spearheaded the struggle while living in the town. Stalwarts like Mahatma Gandhi, Pandit Nehru, C. Rajagopalachari, Pandit Madan Mohan Malviya and Maulana Azad regularly visited Shimla. Major events that took place in the town were the Simla Conference in 1942, the deliberations of the Cabinet on and finally the decision to partition India. And while the British Empire may have ceased to exist, its echoes linger on in the architecture and ambience of this hill resort. The elements of nostalgia may be strong but Shimla also has a youthful vigour in its pace. Its easy accessibility and several other attractions have made it one of India's most popular hill resorts. There are many unforgettable walks, day-excursions by the dozen, a variety of convenient shopping and entertainment museums, and ice-skating in winter. Shimla is the base or the unwinding point for numerous exhilarating routes to the state interior. Today the town is distinctive for its variety of architecture. It has one of the rare surviving urban forests, made all the more unique, for its species are temperate to alpine ones in what is otherwise a tropical zone. And then Shimla's famous Mall offers one of the longest stretches of pedestrian shopping in the world. Within and around Shimla, the public and private sector offer an enormous range of accommodation that range from modern to heritage hotels. Like satellites placed around the centre, there are many resorts in Shimla's periphery that are full-fledged destinations in their own right. These are located at Mashobra, Naldehra, Kufri, Shilon Bagh and Chail. En route by road from Kalka there are Parwanoo, Dharampur and Kasauli. Hindi. Also English, Punjabi and Pahari. The Glen, and the narrow forest trail that runs above it and loops around Summer Hill. The Bharari spur. Towards the villages of Kamina and Pabo. Trek route down from Kamina to Tattapani. Most of Shimla has diverse colonial forms culled from all over Europe. With a castle-like appearance is the former Viceregal Lodge which is now the Indian Institute of Advanced Study. This is surrounded by assorted cottages. Gorton Castle now the office of the Accountant General and formerly the Imperial Civil Secretariat; the Secretariat of the Himachal Government at Ellerslie; and the Gaiety Theatre on the Mall. The Chalet Day School and Cedar Lodge (Punjab Government Rest House). The Library on the Ridge and Barnes Court. Christ Church, St. Andrew and the deconsecrated churches of St. Andrew's (now, the Evening College) All Saints Chapel 9nearthe gates of the Indian Institute of Advanced Study). 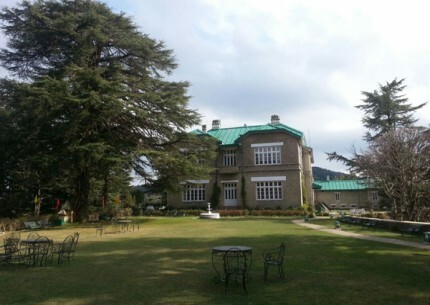 Adjoining Oakover, the residence of the Chief Minister of Himachal has the oldest one. The largest ‘old-one' is below St. Edward's school and is approached via the Potato Research Station. The one at Sanjauli also dates back to colonial times and is still in use. Chail was the summer capital of the former princely state of Patiala. It came into being in the late nineteenth century when it's handsome and dashing Maharaja Bhupender Singh was banished from Shimla, the summer capital of British India for a dalliance with the British Commander –in-Chief's daughter. Smarting at this insult, Bhupender Singh began exploring the neighbouring hills with a single guiding force – to find a hill that was within sight of Shimla but higher. The little village of Chail seemed perfect. Shimla lay within direct vision, and most important, Chail was higher than the British controlled Shimla town. Large tracts of the land here already belonged to him. This had been given to his ancestors for services rendered during the Gurkha wars which had come to an end in 1815-16. A site was selected and the Maharaja began building his summer palace. But an ill omen seemed to hang over the construction area. Local legend has it that the moment anything was built, it would collapse over night. Dozens of snakes would appear from nowhere and attack the labourers. Then Bhupinder Singh had a dream. A sage appeared before him and declared that the site the Maharaja had chosen was where he had meditated till he was taken by the earth, and his peace should not be disturbed. The Maharaja had the sage's blessing to build on any other spot. Bhupinder Singh moved to another site and at the original spot – which is about a kilometre from the Palace Hotel – he had a temple built to the sage. Here the stone embodiment of the sage may still be seen along with the iron tongs and trident. The shrine is known as the Sidh Baba Ka Mandir and is revered by many who claim that the sage has the power to grant boons. Meanwhile Bhupinder Singh had another site levelled out and a splended mansion was built and sumptuously furnished. And at 2226 m, a good hundered meters above Shimla's average height, Bhupinder Singh's summer capital was prepared to taken on the British one at equal terms. In 1972 the property set in about 75 acres of land – including peripheral cottages, woods, sport and recreation facilities and even an orchard – passed into the hands of Himachal Tourism. This is now the Palace Hotel – a full- fledged destination resort. This retains the grandeur of its princely past and a large elegant lawn, complete with pavilion and fountain, adjoins the Hotel. Chail's famous cricket ground was built in 1893 after leveling out the top of a hill. This stands at 2444.4 m and is perhaps the highest cricket pitch and the polo ground in the world. Maharaja Bhupinder Singh was an avid cricketer and the teams that have played here include the MCC. Bhupinder Singh was not averse to a spot of fun in cricket too. This once included a match with all the players dressed as women; the Maharaja took the crease in a nun's black habit sporting and equally black beard. Several easy walks can be done in and around Chail. The small wild life sanctuary has a variety of wild life that includes the ghoral, kakkar, sambhar, red jungle fowl, and the khalij and cheer pheasents. There are Machan-like sighting posts near ‘Blossom' at Khariun and on the blade pate of the prosaically named Roda Tibba. Fishing is possible on the Gaura river 29 km from Chail and there are several trek routes that lead out of the resort, including the one to the Choor Chandni mountain which is visible from Chail and poetically translates as "The Mountain Of The Silver Bangles”. Chail is 86 km from Kalka via Kandaghat and 45 km from Shimla via Kufri. 23 km away from Shimla, at 2044 mthis has a thick cedar forest, picnic grounds and a nine-hole par 68 Golf course that is regarded as one of the most challenging in the country. In the repeat nine there are four additional greens and different tees, which increase the yardage in the second round. This was designed by the British Viceroy of India, Lord Curzon and he was so enchanted by the spot that he often camped here for days on end communicating with Viceregal Lodge by means of a heliograph. He even named his daughter after the place. The Naldehra of today is a full fledged golf and leisure destination that offers comprehensive facilities like quality accommodation and food through Himachal Tourism Hotel Golf Glade. Equipment and instructors are available at the Golf Club and it is possible to play by paying a daily green fee. Motorable on Shimla-Naldehra road. Surrounded by thick forests and offers ideal walks. Goddess Durga temple is worth seeing. Two km from city centre, this is Shimla's highest point and offers a panoramic view of the town's hills and distant mountain ranges. There are spectacular views at sunrise and sunset especially during the monsoons. The peak has a temple dedicated to Lord Hanuman. Legend has it that he stopped here while searching for the sanjivini plant – the herb required to cure Laxman who lay mortally wounded on a battlefield in Lanka in an episode from the epic Ramayana. A variation of the legend says that his sandal fell here. The temple has been exhaustively renovated and this vantage point is being connected by a ropeway. At the top of the hill in the temple complex a 108 feet tall idol of Lord Hanuman is a big attraction for the tourists. The way to the temple is, on foot, from the Ridge near Christ Church. Other option is to hire pony from the Ridge or drive taking via the Cart Road. This is the hub of Shimla's social life. Lined by shops and restaurants this pedestrian thoroughfare loosely resembles an English Home County's marketplace. The Gaiety Theatre, which is a reproduction of an old British theatre is a center of cultural activities. A passenger lift operated by HPTDC can be taken from the Cart Road to The Mall. Lakkar Bazaar adjacent to the Ridge is popular for its wood crafts and souvenirs. 03 km away, IIAS is housed in the former Viceregal Lodge. Built in 1988 this is a spectacular English renaissance-inspired grey-stone structure with superb Burma teak woodwork on the interiors. It is surrounded by magnificent grounds and also has a small museum. A picturesque superb on Shimla-Kalka Railway line. Offers shady walks in quiet surroundings. The Father of Nation, Mahatma Gandhi during his visit to Shimla lived in the elegant Georgian House of Raj Kumari Amrit Kaur. HP University is situated here. Ancient historical sculptors and paintings of Himachal Pradesh. Visiting hours 10 AM to 5 PM. Closed on Monday and gazetted holidays. Crowned by a temple dedicated to Kamna Devi 15 minutes walk from Boileauganj on Shimla - Bilaspur road. the hill offers a spectacular views of the area. On Shimla-Kalka road (NH-22) is famous "Lord Hanuman" temple. It commands an excellent view of Shimla town. The place can be visited by Bus/Taxi. 07 km away from the town, past the Summer Hill, surrounded by woods, rain-fed falls greet the visitors here. On Shimla - Kalka road (NH-22) this holy place is accessible by Rail, bus and car. From the station/road-one can visit the temple either on foot or by taxi / jeep. On Hindustan-Tibet Road. It has enchanting views. On the Hindustan Tibet road, Narkanda offers spectacular views of snow ranges. An uphill trek through Deodar woods leads to Hatu Peak (8 Km). Ancient temple of Hatu Mata is alive with skiers. The airport is at Jubbarhatti, 23 km from Shimla city and is connected to Delhi. Taxi/cabs are available. Shimla is connected by road to all major cities in north India. Taxi cabs for Shimla are available at Delhi, Chandigarh, Ambala and Kalka. Several state-run transport corporations including the Himachal Tourism Development Corporations ply Volvo ac and deluxe buses from Delhi and Chandigarh. Buses can also be chartere.